280 individual VYCC corps members worked from as early as March all the way until the end of November on our Farm and Conservation crews. From sowing seeds, to improving state park infrastructures, to removing invasive species, to harvesting organic vegetables for Vermonters in need, our crews learned, earned, and yearned to make their communities better. Our crews spread across New York State, New Hampshire, North Carolina, and of course every county in Vermont. There are also now hundreds of individual stories to add to the VYCC #AllCorps story. We got lots of these on video, so stay tuned for these in the coming months. For now, we want to wow you with this quick 2018 season recap. 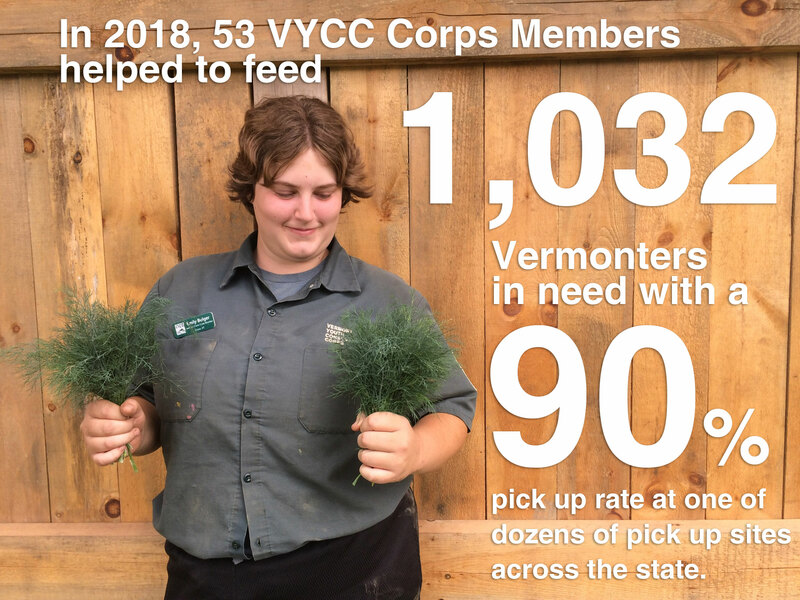 The Farm at VYCC is poised for continued excellence and exciting changes next season as we look to expand our partnerships into new parts of Vermont and incorporate elements of the farm’s learning opportunities for corps members across the VYCC corps experience. Our Conservation program showcased the power of innovation for a 21st century youth corps by giving 269 corps members hands on experience. They learned trades work like carpentry and trail building; about environmental protection and conservation that is impacted by climate change; how to maintain water quality; and valuable interpersonal and leadership skills as modeled by our dynamic team of Crew Leaders. Together, our 22 conservation crews improved public lands in Vermont through thousands of hours of hard work. Check out these stats! 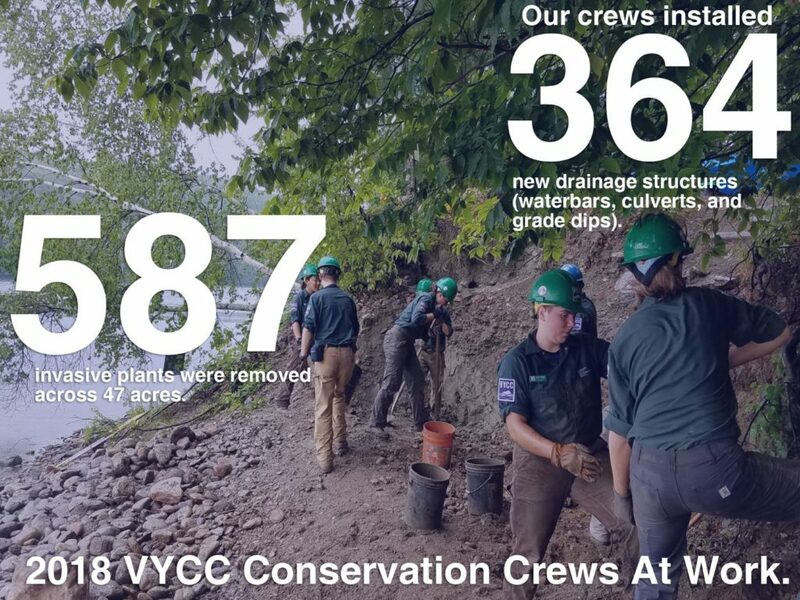 In addition to the stats all our crews put up this season, we are proudest of the personal growth each corps member gained while working with the VYCC. Looking ahead to 2019, we are excited about plans underway to enhance the VYCC experience with particular focus on workforce readiness and leadership skills. Together, we will provide the best corps learning experience in the country in 2019 and build upon our #OneCorpsAllCorps success.